A puggle is a mix between a pug and a beagle. They are considered by some to be “designer dogs,” just like labradoodles or a cockapoos. 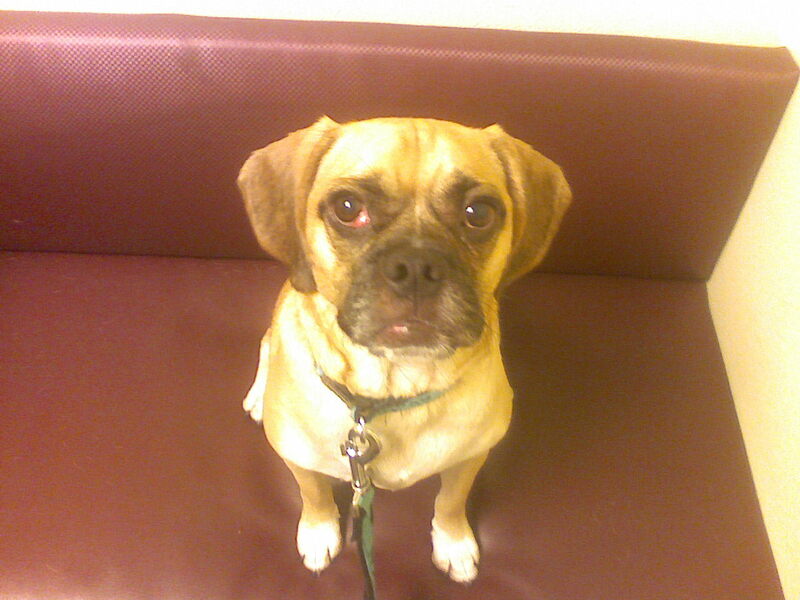 In reality, puggles – all designer dogs – are mutts, mixed breeds like any other, except we know what the mix is. Giving them a cute name doesn’t change that fact, but it does change the price of them dramatically. In fact, puggles are the creation of Wallace Havens, a man from Kingston, WI, who owned a puppy mill at the time. He was looking for ways to produce adorable dogs that everyone would want and that only he would have. It was simple economics – provide a product whose demand would surpass their supply and charge an arm and a leg for them. Now backyard breeders and puppy mills all over the country are popping these dogs out by the thousands and selling them in pet stores and online for between $500 – $2,000 a piece. Make no mistake about it – this is NOT a recognized breed. Anyone who tells you they are in it for the betterment of the breed is feeding you a line. They are in it for the money. For more information about Wallace Havens and the invention of the puggle, read this article. Puggles shouldn’t even exist in this world except a very rare coincidental accident every now and again. The idea that these dogs are now dying in shelters all over our country sickens me. Before deciding that a puggle is the right dog for you, please research BOTH breeds very carefully. Pugs and beagles have very separate and distinct health problems. The breeders will tell you that crossing these two breeds eliminates the health problems in each, but you can also have the opposite effect – your dog may actually have all of the health problems related to BOTH breeds! Never underestimate the smarts of any dog, but especially a puggle on a mission! These little guys are clever and need to be kept busy with brain-stimulating activities. If you don’t give them something to do, they will find something, and you may not be happy with the results! 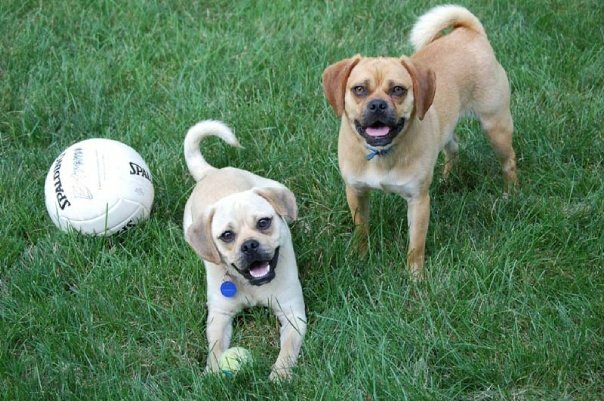 Because of their smaller size and boundless energy levels, puggles are excellent agility dogs and do wonderfully with positive reinforcement training. Some people say that beagles and pugs are “stubborn” and difficult to train. In my experience, puggles are incredibly smart dogs, want to learn new things and have their brains challenged on a regular basis, and are very food-motivated. Generally a “stubborn” dog is one whose owner hasn’t found the proper motivator for training. There is one out there – keep trying different things to see what works for your dog! As with any dog you adopt, you must have patience. They need to get acclimated to their new environment and they need to feel safe. Chances are, before they get to you they will have been in at least 3 homes during the rescue process. They need to know they are with you to stay. You must be 100% committed to them and you need to show them that every single day of their lives. I would like to have a puggle puppy. Do you guys ever get those? We do, but very rarely. 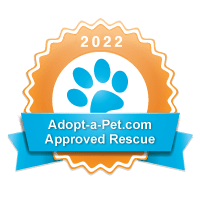 And the ones we do get usually go to homes that have already submitted an application and been approved so they don’t make it to the website until they’re already adopted. If you’d like to be pre-screened for the next puppy we have, let us know and we’ll be happy to send you an application.